Staff, people and the atmosphere was perfect. Great place to lodge. The bed was comfortable and the room was clean. The shower had great water pressure and temperature and the AC was greatly effective with the humidity. Me a lot of lovely people and the staff were helpful too. Location is excellent ! 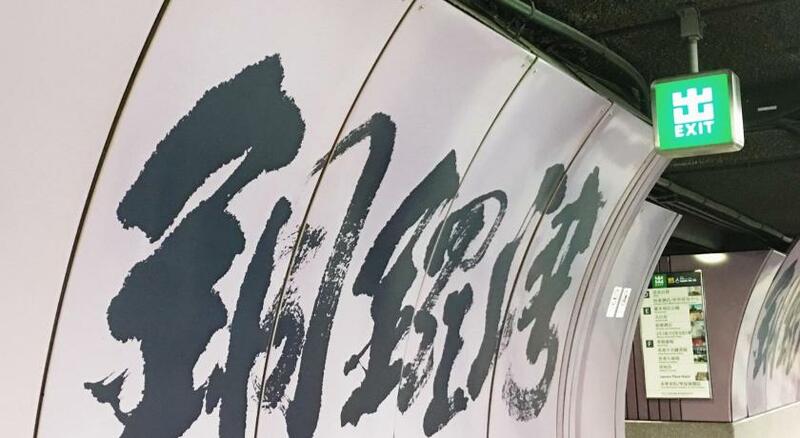 Get the A11 bus from the airport for 40 dollars instead of the subway. I stayed for 4days. Good atmosphere on the roof, good location, good price. I don't know if my experience was normal, but when I visited a staff member made a delicious stir-fry and another time offered foie gras for anyone will to try. People often gathered downstairs for drinks and even though I stayed there from a Friday, I found out that there is also a Pub Crawl on Thursdays starting at this hostel with great drink prices. I think this facility was excellent. The best part was that the front desk receptionists knew everything about HK and could direct me to my destination in the best fashion. Well, pretty convient but there is no élevator from ground floor to the receptionist so I have to carry over 20kg luggage by stairs. Pretty exhausting. Location is very good. Just next to causeway bay station. Good value. Cheap and best place to stay.. near shopping area.. metro station in 3 mins walk.. near the tram terminal.. we enjoyed a lott.. The beds are correctly confy. Very good pizza place next to the hotel. Good location : near a metro station, near Wall Street. For the price, very nice and hosting place. Yesinn - Causeway Bay This rating is a reflection of how the property compares to the industry standard when it comes to price, facilities and services available. It's based on a self-evaluation by the property. Use this rating to help choose your stay! One of our best sellers in Hong Kong! Yesinn is located in Causeway Bay, a 2-minute walk from Causeway Bay MTR Station. It offers a rooftop garden and air-conditioned rooms. Free WiFi is provided in all rooms. 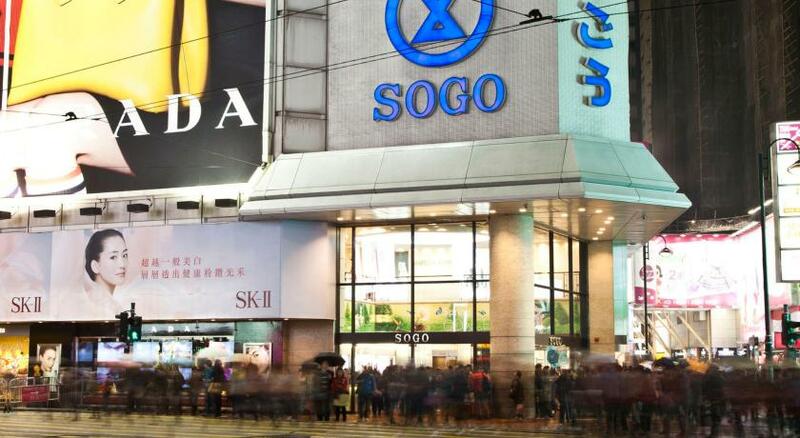 Yesinn - Causeway Bay is a 3-minute walk from Sogo and Times Square Shopping Mall. It is a 45-minute drive or a 1-hour subway ride from Hong Kong International Airport. Stylish rooms are decorated in bright and vibrant wall colors. Each room has individual reading lights and lockers. 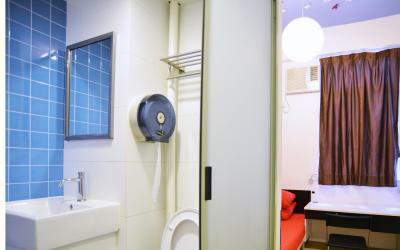 Shared bathroom facilities are available for dormitory rooms. Guests can enjoy a relaxing barbecue on the rooftop garden. Staff at the 24-hour front desk can assist with fax/photocopying services and attend to guests’ request. Laundry service is also provided at an extra charge. 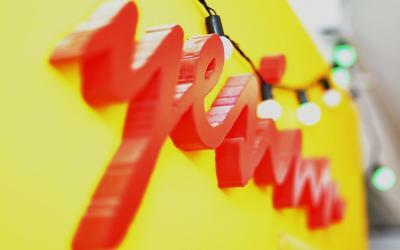 When would you like to stay at Yesinn - Causeway Bay? Featuring air conditioning and security locker, this bed in dormitory provides guests privacy curtain and reading light. Shared bathroom facilities are provided. This room type can accommodate up to 9 guests and the rate is for 1 guest. This room type can accommodate up to 9 female guests and the rate is for 1 female guest. Featuring air conditioning and 6 bunk beds, this room comes with shared bathroom facilities. Please note that the maximum occupancy for this room type is 6. This room type can accommodate up to 21 guests and the rate is for 1 guest. Located opposite the main building, the room is fitted with a double bed and a private bathroom. House Rules Yesinn - Causeway Bay takes special requests – add in the next step! Yesinn - Causeway Bay accepts these cards and reserves the right to temporarily hold an amount prior to arrival. Please note that the hotel entrance is along Tang Lung Street, at the corner of Hennessy Road. It is above NCB Bank with entrance on Tang Lung Street. Guests are required to check in at the front desk located on the 2nd floor, Naan Yip Building. A key deposit is required in cash upon arrival. Please note, due to different group sizes and lengths of stays, guests in one group may not be allocated into same room or same floor. Bed allocation is random, however, guests can request a specific location upon additional charge, subject to availability. Guests can purchase tooth brushes and slippers or hire towels from the front desk. The required prepayment will be collected by the property with its legal name, Y-center Ltd., to guarantee guests' reservation. The dormitory rooms only accept guests aged 12 or above unless the guests reserve the whole room. The building only provide elevator from the 1st floor to the 9th floor. Guests will need to walk up from ground floor to the 1st floor. The private rooms are located right opposite the main building. Since there is only stairs without elevators on the ground floor, guests are kindly suggested to send one guest to check in, so that other guests can wait at the ground floor with the luggage. When booking more than 8 guests, different policies and additional supplements may apply. More information, please contact the property directly. Wifi was a bit spotty. The hostel is not particularly modern, if that's what you're looking for. The bathroom was a good size with good water pressure in the showers. The room wasn’t that clean and the kitchen and common room were quite cramped and unorganised. Great locations, right next to causeway bay MTR station, the staff were very friendly and helpful. A snorer was sleeping on top of me. Upper deck of double deck. I lost sleep the whole night. The fellowship amongst travellers. The roof top garden. Staff completely ignored requests that had been made and approved a week in advance. (They had promised in writing to receive a replacement credit card for me and to give a middle or top bunk. They refused to sign for the package and gave a bottom bunk.) Bathroom smelled very bad and was surprisingly dirty with mold-- my last stay was much better. Mattress too soft and thin. I didn't like that the rooftop was all a smoking area. I liked the rooftop itself quite a bit but making one part smoking and the other non-smoking would be great. I also didn't like that the curtains on the bunks were sheer -- it felt like I didn't have any privacy at all. 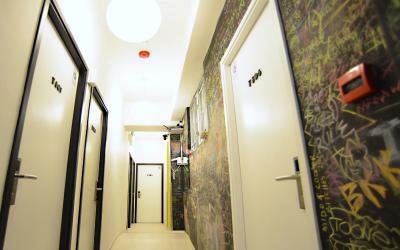 I loved the community of the hostel - the ample of social areas allowed a lot of us to be able to meet beyond our rooms. Common area is very small and usually crowded. Sometimes its hard to find a spot to eat. Bed is comfortable. Good air conditioning. Location is very central, close to MTR station and many shops.